A solid resume is the foundation of a successful job search, but your ability to ace the interview will really determine whether or not you receive the offer. Interviewing is challenging for so many of us because we are not used to talking about ourselves and our strengths. As a recruiter and resume writer, I have interviewed thousands of candidates, and so many struggle to clearly articulate what they do, and why it brings value to an organization. Some even say they feel boastful, or as if they’re bragging, and the fear of making a negative impression squelches their confidence and causes them to hold back on key information. The truth is: The interview is not the time to be modest. Whether it’s a lack of confidence, a lack of practice, or you’ve been out of the job search game for some time, there are a few easy tips you can employ to improve your interview performance so it’s top notch. Practice makes perfect, and the more your do so, the more comfortable you will feel discussing your work and accomplishments in a one-on-one setting. The key is to focus on clarity, and getting your point across in a clear and concise manner. Practicing your pitch not only prepares you to speak confidently, but knowing how you want to frame your answers will help you speak more slowly, clearly, and ensure you’re not flustered in trying to get your point across. A great interview should function like a two-way conversation. There is a back and forth dialogue between interviewer and interviewee, versus strictly being reactive and responding to questions. Use this to your advantage by asking questions that will provide you with deeper insight into the company’s values, culture, and challenges. Ask the interviewer to speak about their own career path and experience with the organization, if they’ve hired candidates from the same college or university that you attended, or what makes someone successful in the company or environment. 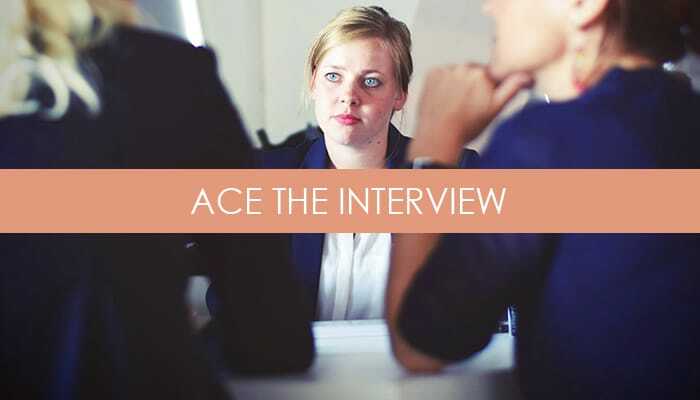 Candidates often make the mistake of approaching the interview as a one-sided conversation in which the employer is evaluating their potential and fit. But the interview is also an opportunity for you to assess whether the organization’s mission and culture align with your own professional goals and interests. A great salary or bump in responsibility can be great, but without an element of culture fit, most professionals end up burning out and looking for their next opportunity. How do you gauge culture fit during the interview? Ask thoughtful, intelligent questions to gauge how the company views its employees, what those relationships look like, how individuals are treated in a team setting, and what the leadership style looks like. Browse social media channels and look for content that gives you a peek into the company culture. Are there photos or highlights of previous company gatherings? Do they speak positively of high performers, or publicly introduce new hires to the organization? How are they regarded in the media? First impressions critical in the job search process, and that holds true for the interview as much as the resume. Invest time in practicing your pitch, whether that’s on your own, with a friend, or with the assistance of a professional job coach. Going through the process of responding to typical and atypical interview questions will reduce the fear, boost your confidence, and prepare you to communicate the important selling points of your brand. Come prepared to ask intelligent, probing questions that show your interest and alignment with the company’s values. A solid resume is the key to landing the job interview, and professional career coaching can help you level up your performance. Check out our suite of resume and branded content services. Tags: career, interviewing, job interview, job search, job searching, resume. Bookmark the permalink.